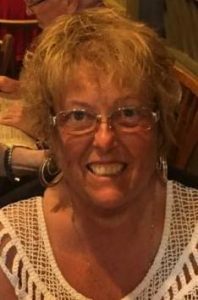 Ms. Sherry Lynn Cox of Campbellsville passed from this life on Sunday, March 17, 2019 in Lexington at the UK Medical Center. Born in Louisville to Ms. Leona Frances (Martin) Gray and the late Tom L. Gray, she was 58 years, 3 months, and 16 days of age. She had made a profession of faith in Christ and attended the Faith Baptist Church. Ms. Cox was a former RN at Springview Hospital, and was a notary public. She loved to spend her retirement traveling, reading mystery novels, or watching horror movies, and she was a great hostess and cook. She was also preceded in death by a husband, Mr. Terry Allen Cox. There will be a funeral service to honor the life of Mrs. Cox on Friday, March 22, 2019 at 11:00 AM in the chapel of the L.R. Petty Funeral Home. Bro. Evan Tedder and Bro. Don Gowin will be officiating. The family will receive friends at the funeral home on Thursday, Mar. 21, from 5:00-8:00 PM.